After our coffee class this weekend, we pressed up a couple of pots of our Bolivia Juan de Dios Blanco Calama Marka, the #1 ranked coffee in the Bolivia Cup of Excellence Competition. 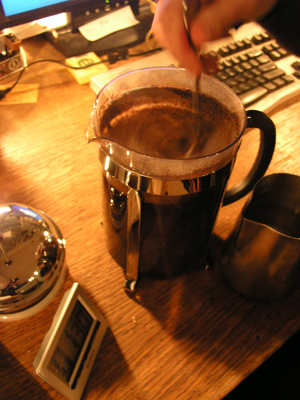 Holy cow, this coffee is amazing! It reminds me of the Esmeralda from Panama; not necessarily in flavor but in its complexity and wonderfully delicate flavors that seem to explode all over your tongue and make you exclaim "I can't believe coffee can taste like this!". 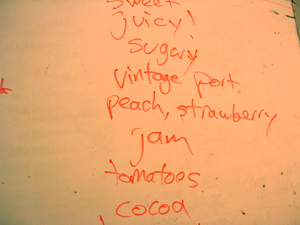 We put everyones cupping notes for this coffee on a big white board during our Cupping 101 class and it looked something like this: I would throw in honeysuckle, toffee, buttery and nectarine..and also just plain awesome. 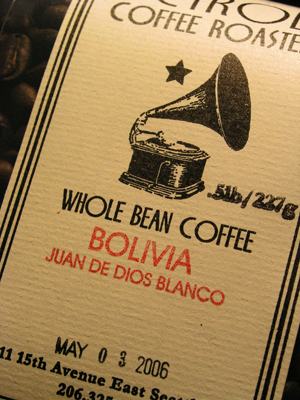 We roast this coffee on Wednesdays and don't have a lot left so make sure to drop in or place your order online.